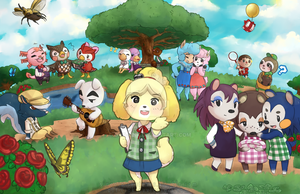 Just a handful of my favourite villagers! its soo cute i love it!!!!!!!!! I absolutely LOVE the style you made this in! Amazing job! this is the determination in my veins .-. You are welcome to help! If you see weeds or something, feel free to get picking! Is that Chara in the water? XD just kidding. Looks greaaat!! Is that julian I see? Got him in my town and I love him. this is rather cute! nice work! I love how Isabelle is opening that little box lunch, it's so cute XD... now that I think about it when does Isabelle ever get a lunch break? 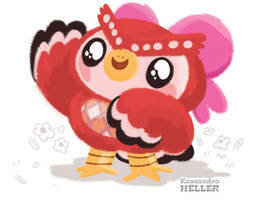 I've seen Merengue when she went camping on my town I've also seen Julian when I served him coffee at The Roost. And why is Kitty so adorable and beautiful at the same time?! do u wanna play on acnl together? Yay you drew Freya from the movie!!! Can I use the otter one as an icon? wanna play? whats ur fc?